Belgian wholesaler, Special Fruit, is expanding its activities in South Europe. They are looking for new partners for their berry cultivation in Morocco. In recent years, this North African country has offered an excellent addition to their range of berries from the Mediterranean. The north and south of this country have two different climates. Special Fruit can, therefore, offer a nice variety of high-quality berries. Northern Morocco has the same climate as Huelva. Huelva is the top berry-growing region in Spain. Larache is the oldest production site in Morocco. Close to here, Special Fruit has selected experienced partners with a strong logistics network. This partnership ensures a smooth transfer to Europe. In this area, berry experts focus mainly on growing strawberries, raspberries, and blueberries. 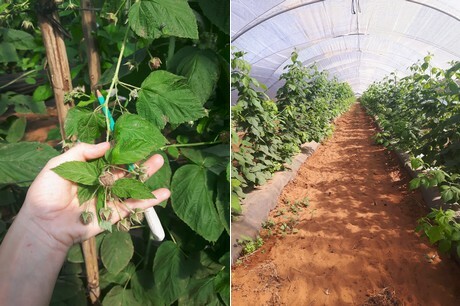 In Agadir, in the south of Morocco, farmers are increasingly focusing on berry cultivation. Here, Special Fruit has access to a small 100 hectares. Special Fruit sees a great future in this additional production region. The company can start the Southern European season sooner. They can do this thanks to the supply of berries from Morocco. They can also offer their clients a longer window in which to purchase berries. Morocco has proved to be an interesting base of operations in terms of logistics. Special Fruit Spain, the company's Spanish branch, can coordinate a lot from there. Special Fruit will be at Fruit Logistica in Hall 6.2, Stand D10.